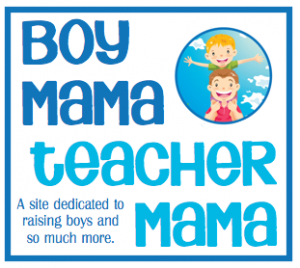 ← Teacher Mama: Activities for Practicing Math Facts…A Round-up! Earth Day is right around the corner and I have been trying and trying to come up with an idea that hasn’t been done yet- not an easy task. But, I think I came up with one. I hope you like it! Copy a template for each child . 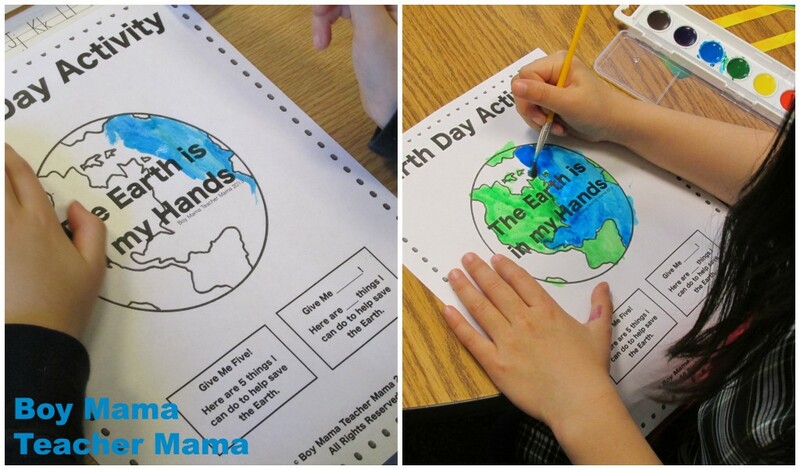 Introduce the activity and give each student a copy of the Earth from the template and have him/her paint or color it. I prefer water colors simply because you can still see the writing through the paint. Set them aside to dry. Once they are dry, have students cut them out. 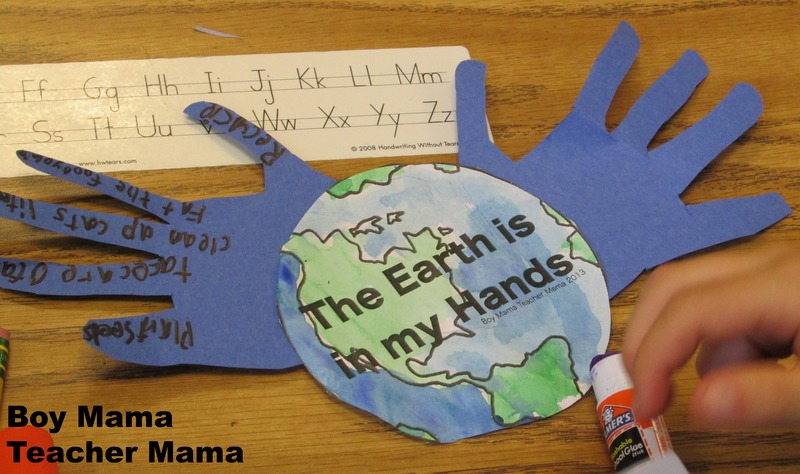 Then brainstorm as a group (or with your child) a list of things we can do to help the save the Earth. 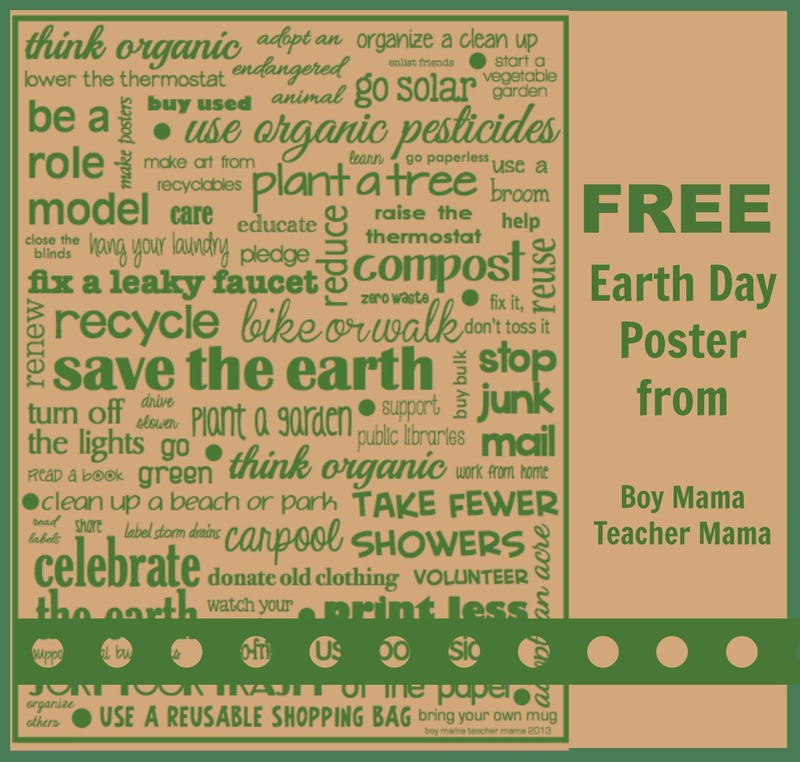 Some ideas are: recycle, create a home compost bin, walk or bike to school, take shorter showers/baths, plant trees etc. 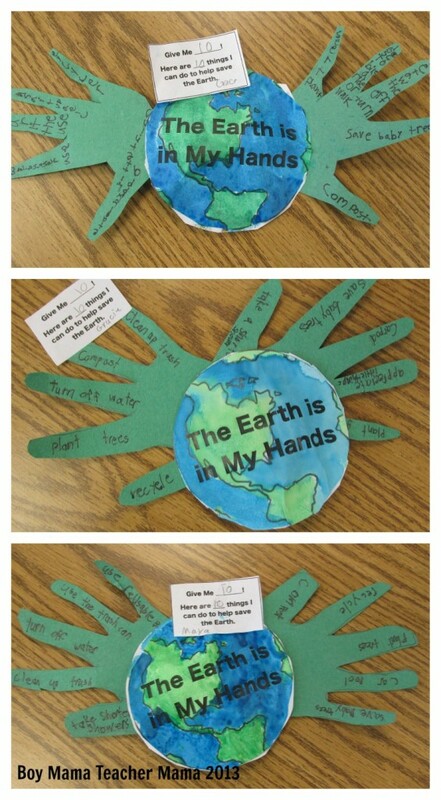 Explain to the group what the phrase, “The Earth is in my Hands” means. Have students trace one another’s hand and cut them out. Then have them write something they can do to help the Earth on each finger. Each student can do as many as they like or you can tell them they have to do a certain number. 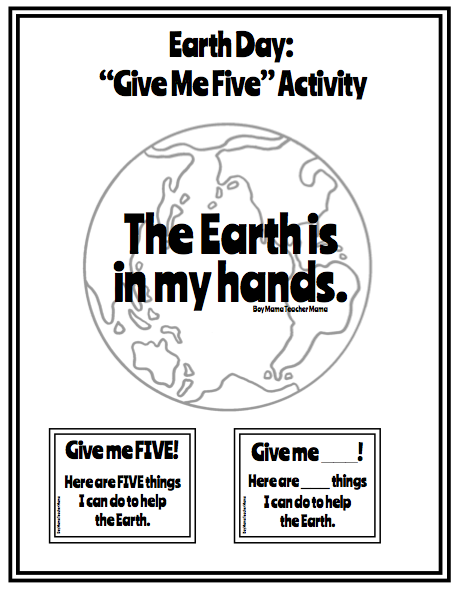 Then students can fill out the Give Me ___! paper. Write the number of things written on the fingers in the blanks or use the Give Me 5 ! template. Finally, put it all together and share! If this is your first time visiting Boy Mama Teacher Mama, welcome! Did you know that you can also find us on Facebook, Pinterest, Twitter and G+? Stop by to see what is happening! 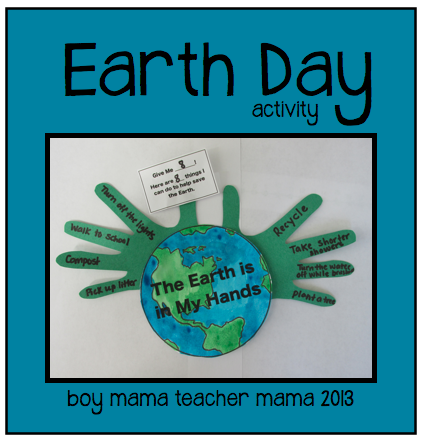 I do love this mam, today’s earth day and I am going to do this kind of activity to my 5th grade students, thanks a lot for the idea. Hello! I did this activity last year with my 5th grade students and they loved it. I would like to do this again, but when I click on the link above to download it it is not loading. Would you be able to please email to me? I would really appreciate it! 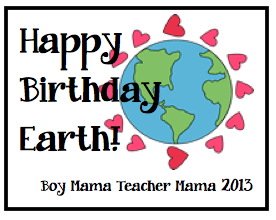 Thank you and Happy Earth Day! I sent along the older version just now, but have just downloaded an updated version to the site. The link is working now! Would you be able to send this to me? It is such a great idea! Simply click the image above to download! I need your email address! Can you please send it [email protected] or PM on Facebook. I tried sending you an email for the templates, but it didnt go through. 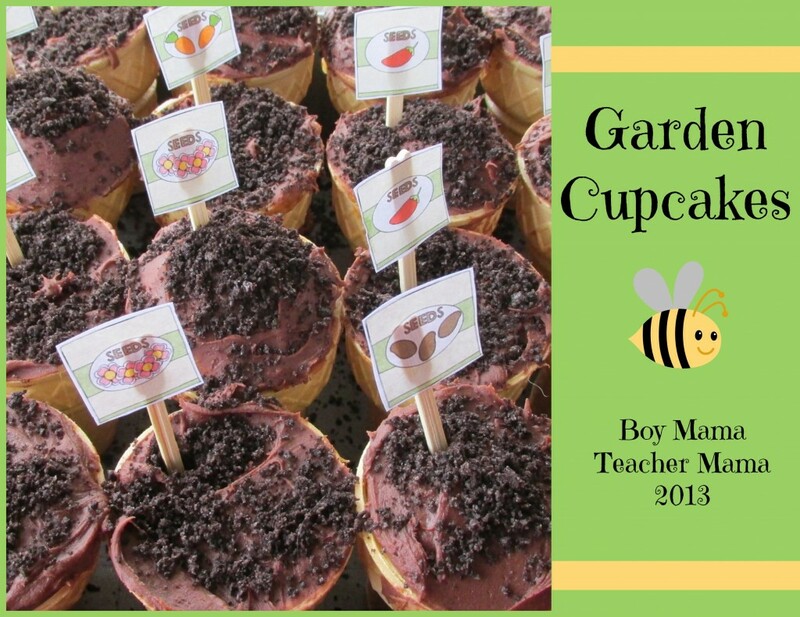 I love this activity and would love to do it with my kids. 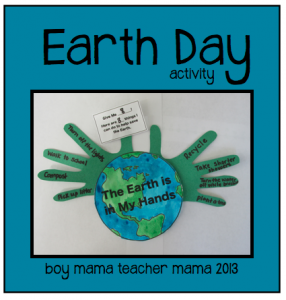 I love this Earth Day Activity. I would like to invite you to link up this post on my Money Saving Monday Link Up. Looks like you didn’t. At least that one came up! Um, I said that this post is brilliant and that I love it ( you would obviously know that already) . I also wrote that I loved how you made children think critically about how they can help the planet. Brilliant. Off to share, everywhere!